Tree pruning • tree removal • cabling • stump removal • hazardous tree evaluation, ISA certified arborist, Daniel Murphy, with 30+ years experience, personally evaluates your trees, listens to your concerns, and gives you advice based on the latest scientific understanding of trees, and a practical knowledge of trees that only comes from watching and working with these great beings for more than 3 decades. 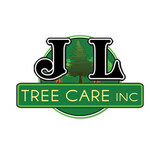 JL Tree Care Inc. offers Tree Trimming,Tree Removal, Tree Pruning and more! call us today at (484) 908-2657! It all began in 1988, when Mr. Tree’s founder, Mike Rupnicki, was five years old and spent his days climbing trees. One day, Mike was playing outside his parents’ home in Aston, PA, when his mother came outside and was shocked to find him 70 feet up in the tallest white pine tree on the property. She yelled for him to come down. She was even more surprised when after only a few minutes, her young son came walking in the back door. Mike always liked climbing trees, but as he grew up, high school football and college were more important priorities. Mike earned his Bachelor of science in civil engineering in 2007 and his Masters of business administration in 2009, both from Widener University. After 3 years of employment at an engineering consulting firm, the effects of the recession were overwhelming. Mike survived 3 rounds of layoffs, but grew so bored with his work that it was time for a dramatic change. 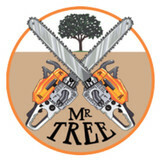 In 2011, Mike began climbing trees professionally and Mr. Tree was born. Boring days at the office were traded for hard worked days in the field. Today, Mike is living his childhood passion in the trees. 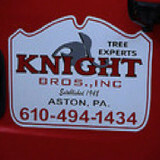 We are the best tree service professional in the Aston, Pennsylvania area! Servicing trees in the Horsham area! Our reputation of quality & integrity make up the foundation of our business model. Our commitment to technology and our devotion to customer service sets us apart from our competition! Ricks Tree Service specializes in the removal of the large and hazardous trees. Our Tree Removal teams of skilled climbers have many years of experience in dealing with all types of difficult situations such as limited access areas, near by utility lines, and trees with extreme decay. After 20 years of providing consistently superior tree and shrub care services in the Delaware Valley, Ken Hutz has opened his own business, Ken Hutz & Company The Art of Tree an Shrub Care. We provide Tree Removal, Stump Grinding, Tree Trimming, Tree Sales & Planting, Arborist Service & more in South Jersey (Burlington & Camden County NJ areas). May Tree Care continues the family tradition of quality tree work started by Richard May Tree Service in 1975. At May Tree Care, we are honest and fair, we provide the highest level of service possible, and we offer competitive prices. We are fully licensed and insured, and we offer complete tree services for residential, commercial, and municipal customers in South Jersey. We are tree experts, with a New Jersey Certified Tree Expert on staff, and the specialized equipment, knowledge and experience to meet your needs. We even offer 24/7 Emergency Service. Our company is your most reliable tree service in the area. With over 25 years of experience in commercial and residential tree services we provide a wide variety of services from simple pruning to hazardous tree removals! 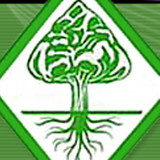 Welcome to First Class Tree Services LLC! We have been serving the tree removal and trimming needs of Burlington, Camden and surrounding Counties since 2001. 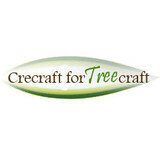 Our business is family owned and operated by qualified tree technicians. As professionals, we pride ourselves, in being more than prepared to take on any job of any size.